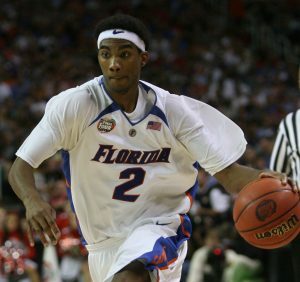 Any Gator basketball fan’s heart will skip a few beats at the mention of Corey Brewer, Taurean Green, Al Horford and Joakim Noah, the stars of UF’s back-to-back national championship team in 2006 and 2007 (not to mention three consecutive SEC championships between 2005-2007). 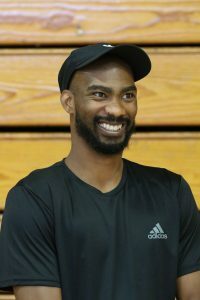 Corey Brewer at his basketball camp in Gainesville. Born and raised in Portland, Tennessee, Brewer was an All-American basketball player when then UF Basketball coach Billy Donovan, in 2004, recruited him to play for UF. 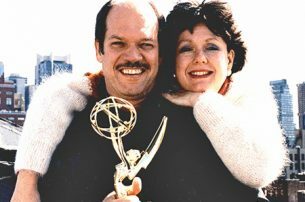 As a Telecommunication major, Brewer was exposed to new technology he had not witnessed in his hometown. Brewer was likely to go very high in the 2006 NBA draft if he had declared that year. But Brewer, along with the rest of the starting lineup, announced at the championship pep rally that they would be returning for their junior seasons in pursuit of their second NCAA Tournament championship. That led to their second national championship, where he was named Most Outstanding Player. Brewer finished his UF career as the school’s leading scorer in the NCAA Tournament. Brewer was selected seventh overall by the Minnesota Timberwolves in the 2007 NBA draft. Since then, he has played for seven teams, including the Thunder and the Dallas Mavericks where he was part of the team that won the 2011 NBA Championship. Since 2009, Brewer has hosted a summer basketball camp in Gainesville for elementary school kids—appropriately titled Back 2 Back—whose proceeds benefit the UF Health Diabetes Institute. Brewer created the “Corey Brewer Fight Diabetes Fund” to provide funds for diabetes patient programs and education. While Brewer still has an active NBA career, he does think about his post-playing future and what he may want to do. His time at CJC has had an impact on his future plans.